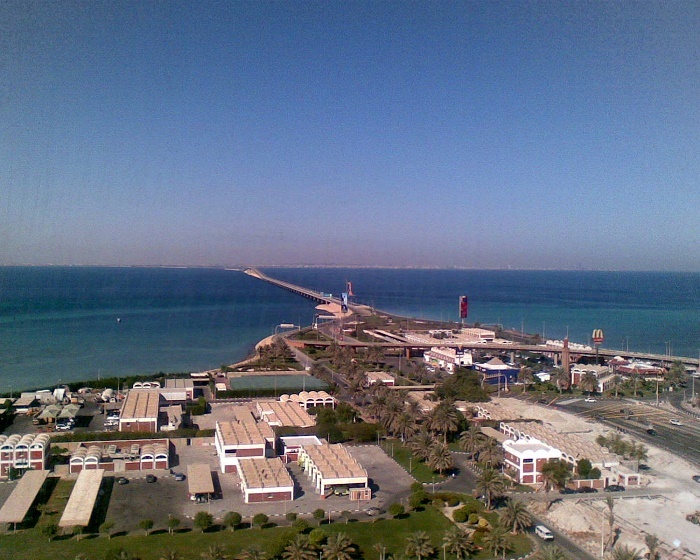 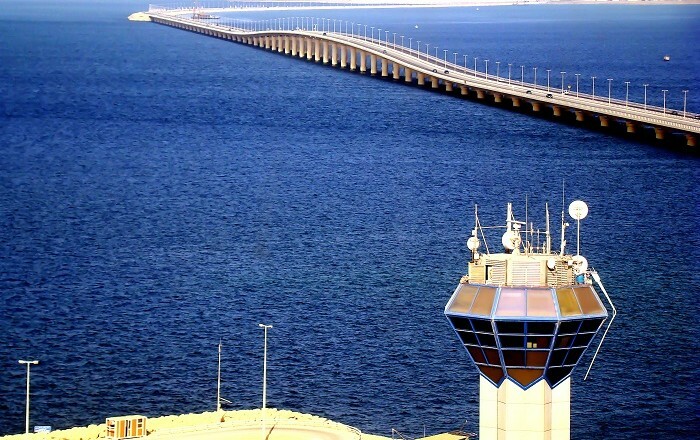 King Fahd Causeway is a series of bridges and causeways which were built to connect the two kingdoms of Saudi Arabia and Bahrain, in the Persian Gulf. 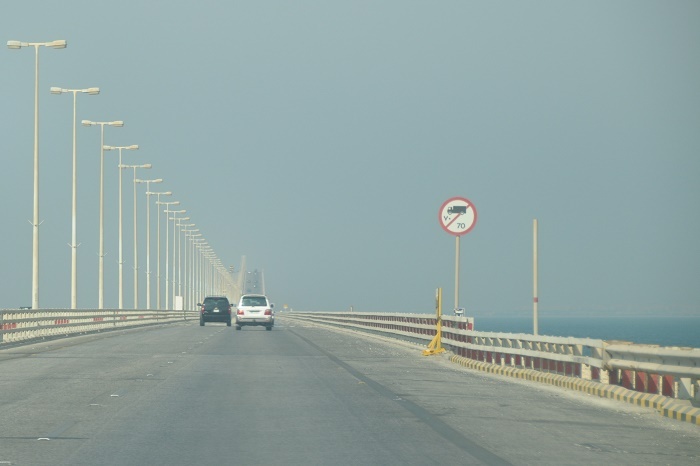 This very old idea of connecting the Kingdom of Bahrain with the Eastern Region of the Kingdom of Saudi Arabia has been thought long before, as an expression of their wish to facilitate contacts and to increase the links and bonds among themselves. 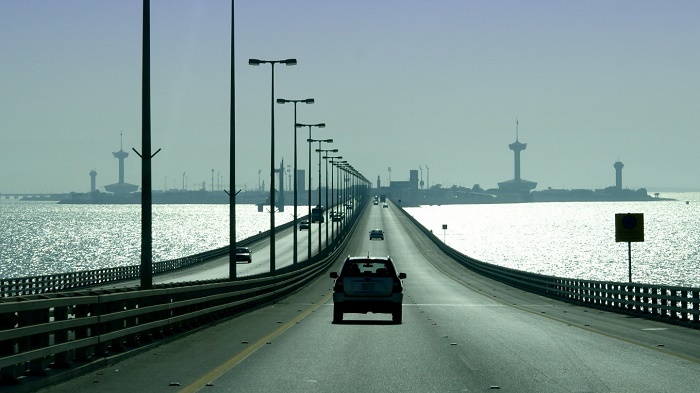 In 1965, the idea of constructing the causeway began to crystallize officially, particularly during a courtesy visit by HH Shaikh Khalifa bin Salman Al Khalifa to the late HM King Faisal when HM expressed his wish to have this causeway constructed. 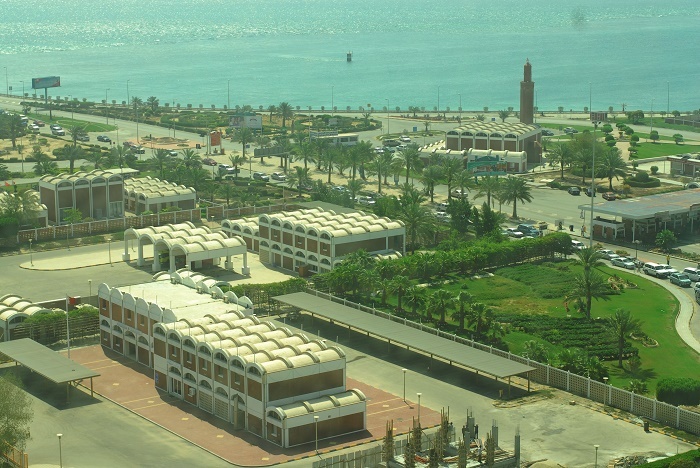 Three years later, a joint committee was formed between the two countries to study the potential of implementation of the project. 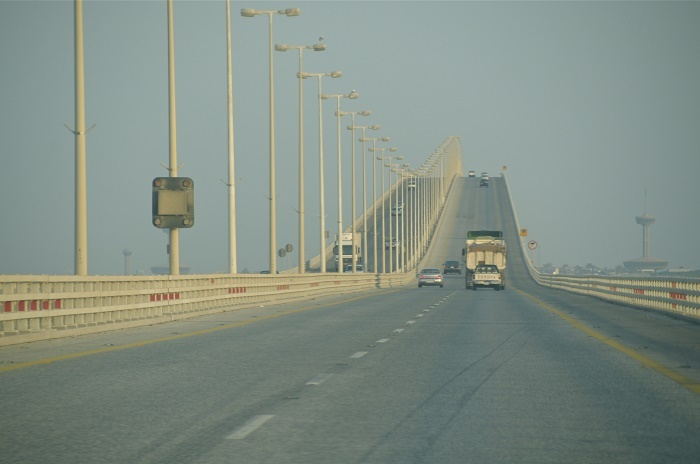 The committee carried out a field study in order to assess the size of financial obligations. 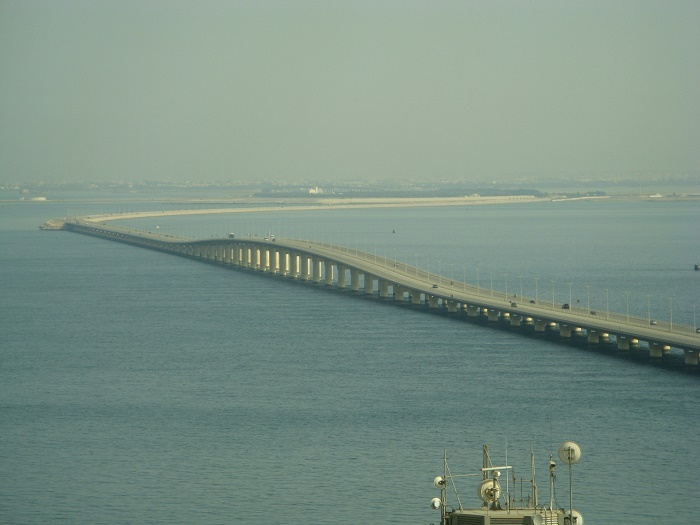 An agreement between the two kingdoms was signed on 8 July 1981, for construction of the maritime causeway between the two countries, where on 11 November 1982, King Fahd bin Abdul Aziz and Shaikh Isa bin Salman Al Khalifa unveiled the curtain on the Memorial Plaque during a formal ceremony marking the beginning of the project. 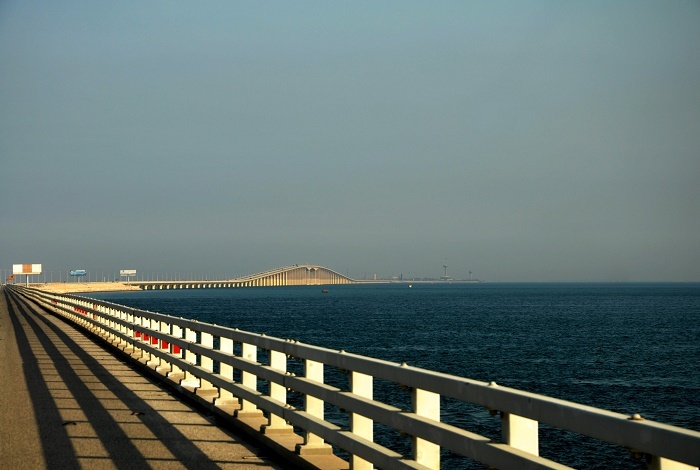 This amazing causeway which is 25 kilometers (16 miles) long, opened in November 1986 at a cost of $800 million, and had three segments of construction. 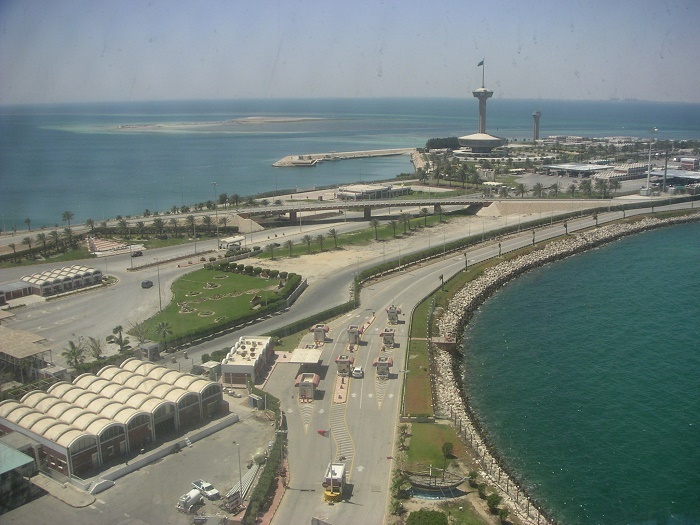 The first segment was the first point where it began, which was from the small town of Al-Aziziyyah in Saudi Arabia, to the Border Station on the Passport Island. 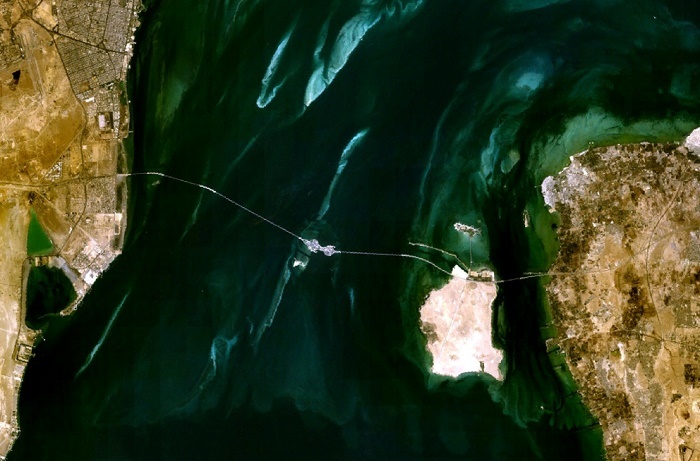 Second from the Border Station to Nasan Island in Bahrain, leaving the third segment from Nasan island to Al-Jasra, on the main island of Bahrain. 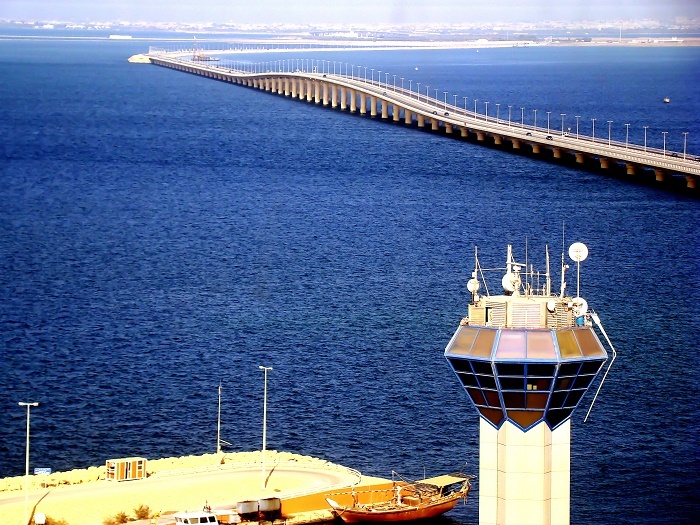 Serving annually around 20 million passengers, it is one of the busiest “highways” in the world, where you can enjoy also having lunch or dinner in one of the two 65 meters (213 feet) tall restaurant towers on the artificial Passport Island.